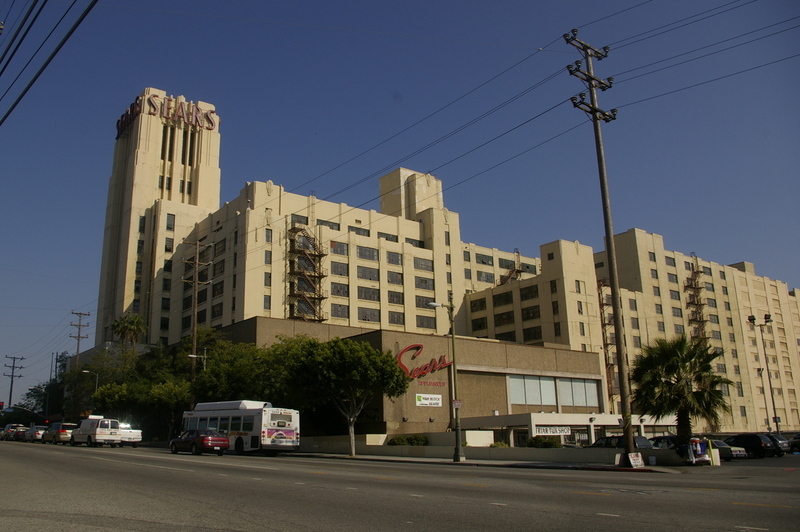 Oscar De La Hoya will not purchase the landmark Boyle Heights Sears building and convert into a mixed-use residential retail project, reports 's Daniel Miller in the Los Angeles Business Journal. The deal fell apart Dec. 31 when De La Hoya’s Golden Boy Enterprises LLC, Manarino Realty and Highridge Partners Inc., did not release their initial deposit of $2 million. Leaders in Boyle Heights and the community-at-large were hopeful that the East L.A. native De La Hoya latest venture into development would anchor the neighborhood, but a punch-drunk real estate market, low interest from retail tenants, and Eastside advocates for low-income housing may delayed De La Hoya’s plans one round too many. The $70 million deal was first planned to be closed Feb. 15, then escrow delayed until October, before the final December bell was rung. The setback at least temporarily kills off one of the most important redevelopment projects in the East Los Angeles area – and it couldn’t come at a worse time. The credit crunch has already roughed up the local single-family housing market and is now slowing larger multifamily and mixed-use projects. The Sears site has been the target of several failed redevelopment attempts. MJW purchased the property for $40 million in 2004 with the intent of pursuing its own redevelopment project, but never broke ground, instead deciding to sell the property. Previously Weinstein said he wanted to devote more time to other interests. Still, it appears that the delay was mostly centered on the project’s retail component, which would have been extensive. Though the long-closed Sears, Roebuck & Co. distribution center at the 1.8 million-square-foot complex is dilapidated, the Sears retail store there still does good business. Weinstein’s old plans called for a reuse of the complex – with its 1927 warehouse and iconic tower – with the construction of 300 to 800 housing units and almost 1 million square feet of retail. De La Hoya was said to have a similar plan. Cabildo said she sought discussions with De La Hoya’s development group about potential changes in the project but never got a response. Her community corporation is redeveloping East L.A.’s Mariachi Hotel into a 51-unit affordable housing development.